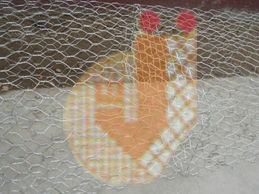 Wire Mesh manufactured where the wires are twisted twice, thrice or reversed to form a hexagonal opening between wires. Such screen provide maximum open area, very flexible & are relatively low cost product as the opening to wire dia ratio is very high, hence widely used as a reinforcement of concrete / plaster, poultry & bird protection, laying of roads, insulations apart from many other. Boxes in a cuboids shape made from Hexagonal Mesh with large opening & thick wire diameter are places next to each other & filled with rocks, quarry stones or sand bags to obstruct, block or to provide support or protection. 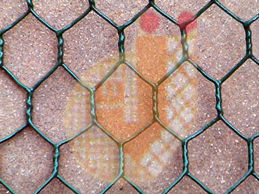 Gabions can also be made from Welded Mesh or Woven Wire Mesh, but Hexagonal is widely used as it is cost effective, flexible compared with other meshes.